MSC Seaside Caribbean itineraries have been scheduled in a way that gives their guests fantastic options when it comes to exploring the tropical islands of the region. For those only wanting a week on the ocean, MSC Seaside’s seven night round trip Caribbean getaways are aplenty, with options to cruise either the Eastern or Western Caribbean in a week. However, for some of us, particularly those who have travelled far and wide to get to this beautiful slice of paradise, seven nights just aren’t enough. 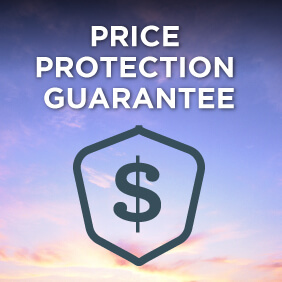 Where other cruise lines require you to book multiple cruises back-to-back, hoping to find the same cabin number on the same ship, MSC Cruises has done the work for you! One booking number, one cabin number, 14 nights of Caribbean cruising. 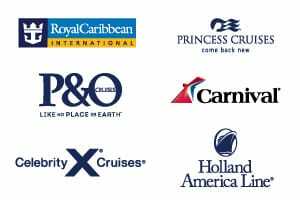 View all MSC Seaside cruises, view a selection of MSC cruise deals, or view more options for MSC cruises. MSC Seaside is set to rewrite the the rule book when it comes to cruise ship design. 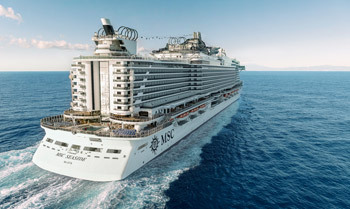 The largest cruise ship to be built by Fincantieri, MSC Seaside accommodates 4,100 passengers across 20 Decks and is the flagship of MSC Cruises‘ new Seaside Class. The ship’s state-of-the-art design includes unique features such as a waterfront promenade which blends indoor and outdoor areas to connect you with the sea like never before. Circling the entire ship as low as Deck 8 this unique promenade is lined with places to eat, drink, shop, swim and sunbathe. And you can enjoy more superb views from the two-deck glass-walled atrium and panoramic sea view elevators. Hand-in-hand with it’s superb design comes cutting edge advancements to their onboard activities. MSC Seaside features the largest and most interactive aqua parks at sea. Featuring two decks of fun and activities for children and families, the aqua park has something for everyone from an adventure trail to four different slides. MSC Seaside is also the first cruise ship to feature Slideboarding technology, combining a slide and an interactive game. MSC Seaside call’s Miami home. In order to improve the guest experience from the beginning to the end of their cruise vacation, MSC Cruises and PortMiami are collaborating on a newly renovated and expanded dedicated berth and terminal, which will serve as MSC Seaside‘s homeport. This terminal is still undergoing construction, but will significantly increase the experience of those MSC passengers wishing to cruise the Caribbean. The MSC Seaside Waterfront Promenade circumnavigates the ship and offers access to a wide variety of restaurants, bars and shops. From the glass skywalk, guests can enjoy a jaw-dropping view of the sea from above. The unique MSC Seaside Panorama Pool offers breathtaking sea views and sun loungers specially designed to give guests the chance to stay close to the pool like never before creating an immersive connection with water. Connected to the top deck by two panoramic elevators, the South Beach Pool offers plenty of space in the sun as well as breathtaking views. The innovative glass-walled atrium stretches over two decks, creating an atmospheric venue for live entertainment with spectacular ocean views. The MSC Aurea Spa on MSC Seaside is a luxurious Balinese spa offering signature relaxation treatments to revitalize body and soul. Complete with a thermal area, beauty salon and nail boutique, the MSC Aurea Spa will leave you feeling pampered from head to toe. Equipped with state-of-the-art Technogym cardio and strength-training equipment, the MSC Seaside gym offers a wide range of original fitness courses and training programs. Length / Beam / Height: 1060 ft. / 135 ft. / 236 ft.
Open areas: 468,230 sq ft.
Advanced Water Treatment (AWT):System to remove pollutants and hazardous substances from waste water.